Fifty300: Celebrate the indigenous culture of Denver and the Rockies with us at our newly restyled restaurant in Stapleton, CO, near downtown Denver. Savor regional American cuisine in our casually upscale hotel setting. Join us for breakfast, lunch and dinner. Elevate Lounge: Gather with friends over appetizers and cocktails at Elevate Lounge. 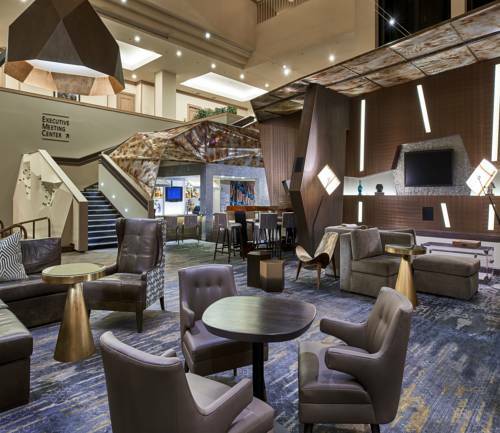 Our elegant lobby bar offers the ideal spot in Stapleton to unwind and socialize after a long day in Denver. Enjoy our light bites, craft beers, wine and specialty cocktails.